Banning Montenegro or calling for players to walk off the pitch when they hear racist abuse is not the answer to football’s problems, according to former England winger John Barnes. 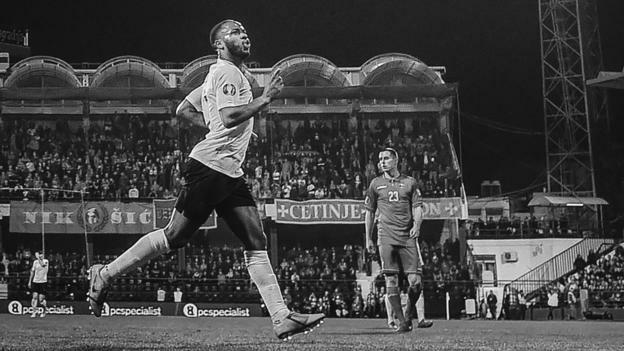 England’s 5-1 win in Montenegro on Monday was overshadowed by several of their black players being racially abused by home fans. “It can’t be tolerated but we’ve got it the wrong way around,” said Barnes. Who decides what you’ve heard? How many people do you have to hear? One? Or does it have to be 10 or does it have to be 100? Who decides? Barnes, who played 79 times for England and suffered racist abuse throughout his career, added: “It’s hypocritical for us in this country to look at Montenegro and say how terrible it is when it happens every week in this country. There have been suggestions that Montenegro should have points deducted from their European Championship qualifying campaign, or be excluded from the competition. After Monday’s match, England boss Gareth Southgate was asked whether he should have taken his team off the pitch, but Barnes does not feel either option is practical. “If we want to throw teams out then I will go along with that but this is the problem – do not just pick on Montenegro, pick on everybody,” he said. “Should Chelsea be thrown out the Premier League for alleged racist abuse of Raheem Sterling? And it’s not just Chelsea, I’m sure it happens at Liverpool as well and I’m sure at every football stadium there will be racist abuse. “Walking off, for me, is not the answer. Who decides what you’ve heard? How many people do you have to hear? One? So if you hear one everybody walks off? Or does it have to be 10 or does it have to be 100? Who decides? However, Troy Townsend, head of development for anti-racism charity Kick It Out, questioned whether European football’s governing body Uefa was “brave enough” to ban teams from competitions. “What I would like is stadium closures, expulsions from competitions, federations held accountable for not just the players but the supporters in their care,” said Townsend. “The first time that happens [expulsion from a tournament] it will send a massive message out that this is not acceptable any more. World governing body Fifa has a three-step protocol that allows a referee to pause a match and request a stadium announcement asking for chanting to stop if racism is heard. After that, the referee can suspend the match and request another announcement and then abandon the match if the chanting does not stop. BBC Sport pundit Garth Crooks was unhappy that the referee did not follow this procedure on Monday. “What really disappointed me is we know Montenegro have previous,” said Crooks. “Gareth Southgate knew that and that’s why he said his players were going into a hostile environment. He needed to be more specific than that – his black players were going into that environment. Former England women’s striker Eniola Aluko also wanted to see more action taken by officials during the match. “It now needs to be part of referee training to do something during the game,” she told BBC Radio 5 Live. “We can’t continue to hear monkey chants in 2019. When racist abuse happens there needs to be a clear structure as to what a referee does. “The officials need to do more. If everyone else can hear it, what are the officials doing during the game? There is no suggestion from the England camp that they are unhappy at the way the referee handled the situation, however.